I love that aviary set....looks fabulous with the OTWC colors! Thanks for playing along! What wonderful cards!!! Thanks for playing at OTWC this week!!!! 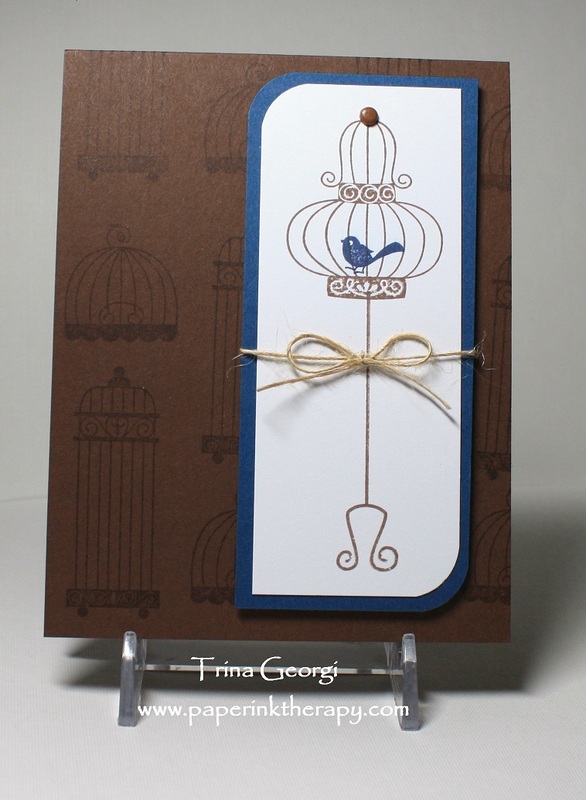 I just love that bird cage and that little bit of twine is the perfect accent. Great job. Thanks so much for joining us at OTWC. 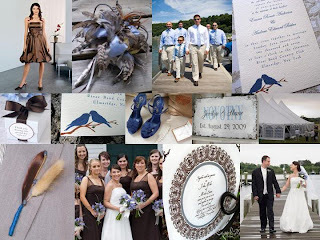 Love the tone on tone dp you created with those fabulous birdcages and I love the twine you added to your focal image! Thanks so much for playing along with us at OTWC! Good Luck! 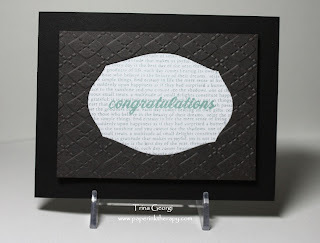 Love the congrats card, the black embossed layer makes it so elegant. 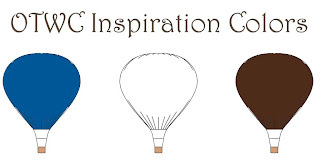 So glad we helped get your creative juices flowing! 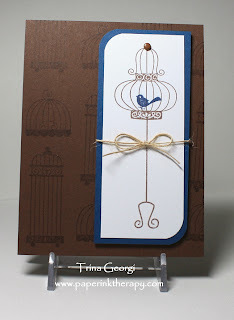 Both cards are awesome (I have that aviary set, but haven't inked it up yet; you may have just inspired me!). Thanks for joining us at Embellish!